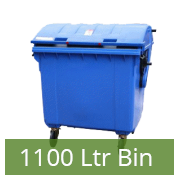 At Map Waste Disposal in Leicester, we pride ourselves on offering waste removal services and wheelie bins with a difference. Committed to accommodating the individual businesses and customers that approach us, our experience lends us the expert knowledge necessary to recognise your requirements and meet them. 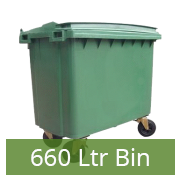 Our wheelie bin hire in Leicester is just one example of this. 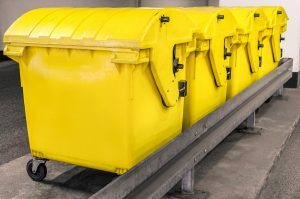 With an extensive collection of waste disposal equipment for you to choose from, we offer a wide variety of sizes to our many clients, so that they can always find something suitable for the amount of litter they accumulate and the storage space available to them. 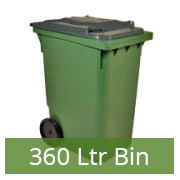 Obtainable with no rental charges attached, our wheelie bins are intended to be as economical as possible. Aiming to keep your costs as low as we can, we nonetheless provide an exceptionally polished and professional service, so that you’re entirely satisfied with your customer experience. 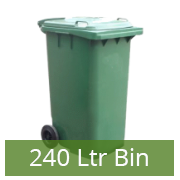 It’s not just the wheelie bins themselves that we provide across Leicester and Charnwood, but regular collection according to your unique needs. Available daily, fortnightly, or at a regular interval specially set to suit your business, this will help to keep your premises immaculately clean and tidy at all times, with no unpleasant smells or overflowing rubbish accumulating to negatively impact the aesthetic of your commercial premises. A family run business established in 1987, Map Waste is manned by a friendly and professional team. Dedicated to servicing your needs without causing you any inconvenience, we will ensure that rubbish removals are kept as unobtrusive as possible, so that the running of your venture is never impinged upon by us. Experienced, expert, and eager to please, we always enjoy talking with new customers considering wheelie bins, to help build a partnership that works for us both. With someone always on hand at the end of the phone, we’re happy to answer any questions or queries you might have, so why not get in touch with us today to learn more about what we do and how it could be of use to you?